I recently got an interestingly email the other day from a subscriber who asked me how if there was a way to tell the difference between a watered down Wing Chun school vs a *Real Wing Chun School. Interestingly it’s not the first time I’ve heard this questions. 1. Is the basis of training internal or external. Another words can the techniques being taught be effective if you where a 5ft 2in 103lb lady? If there is one thing that I see often it’s that many of the technique’s taught today would not be effective for a small woman. 2. It all comes back to energy. 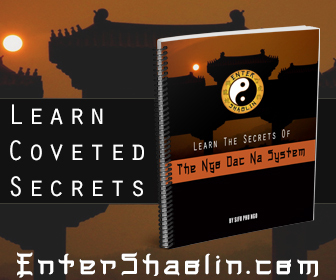 Does the “Sifu” understand how energy works with the body and can that person express it within their actions? When I first met Sifu Phu Ngo I was taken back not because he hit me really hard. Not because he was fast or flashy. It was because he was able to take any amount of energy/force I threw at him and easily control it and me. He didn’t have to hurt me to get his message across. 3. Linage really doesn’t matter. What matters is that the “sifu” is in a constant state of growth. I’ve been doing martial arts my whole life and I am always learning new ways to do things. The essense of Wing Chun is “Simply To Simplify”. Real wing chun isn’t flashy. It’s quick and efficient. 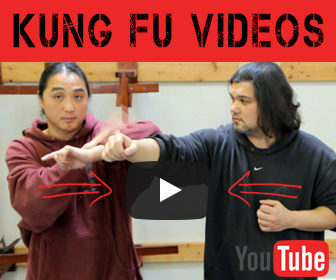 Pretty much all Wing Chun linages can be effective. It really does come down to the person teaching it. Look for a person who can explain the how’s and why’s. One final thought is this. If you feel like the only reason someone is beating you is because they are bigger or stronger than you. Then you are not learning proper Wing Chun. Ultimately you won’t know what you are getting yourself into until you take a class or two and “FEEL” out the instructor. It’s important that where ever you decide to go train that you take the time to learn what is being taught to you. A good teacher will teach you based on your personal ability. Even a good teacher can’t help a bad student. Always do your part and train & practice hard.